I am petrified by spiders. I really can’t stress enough how scared I am of them. Big or small, hairy or spindly, colourful or camouflaged. And of all places, I live in Australia. I don’t really know when or how this started. I do remember a time in my childhood when I was fearless, to a point, and caught some spiders for show-and-tell or just to look at them before releasing them back into our garden. I was fascinated by their eight legs, many eyes, and the sheer variety of them. It must’ve been some movie or show where I saw someone die from a spider bite, and my brain still hasn’t let go of that. In all fairness, spiders serve a very important purpose in the day-to-day course of the natural world and countless ecosystems across the world. I try as hard as I can to never kill any spiders I see, nowadays. That said, I’m usually left paralyzed with fear at the sight of even a baby Huntsman. However I do my best to live and let live; if I don’t bother them, then of course they’re not going to bother me, a comparative titan. Yet, there’s oddly one place I still can’t avoid them: Video games. 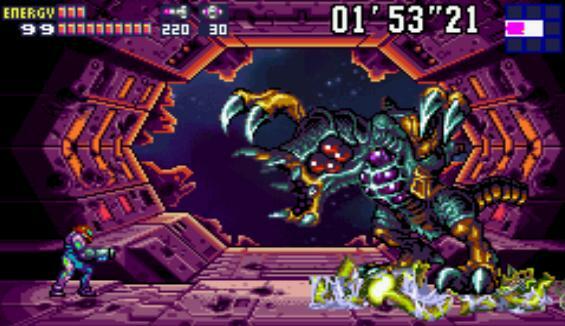 Metroid: Fusion offers some limited pixel spiders too. First, let me describe just how scared I am of spiders. I can’t even open a book with pictures of spiders in it. Goosebumps blossom all over my body, my teeth start chattering, hands quivering in syncopated beat alongside, and I start losing focus in my vision. Turning pages in books I had to read for old science classes at school were a nightmare. For a tortuously long second, my brain fools me into believing the spider is right there; my hands brushing up against every follicle bristling along its body, feeling how fragile yet in some cases deadly it is just beneath my grasp. I have thrown books across rooms in fright, or just sat there gaping like I’ve seen an omen of my impending doom. And that’s from a book. Video games, meanwhile, are a whole other kettle of fish. Interactivity, high fidelity audio, intense visual graphics, all technical factors that get better and better as time goes on, and all responsible for me directly avoiding many games in my life. Now, I am very much what historians classify as a ’90s Kid. The 8-bit and 16-bit era of games was something I never really considered outside of old handhelds, so whenever I encountered my arachnid foes in those games I didn’t really connect them with their real-life counterparts. Oh sure, I had a very active imagination back then, but it never really pieced together any sort of frightening image of colossal multi-legged beasts that I’m sure was sometimes the intent. Then I was introduced to 3D graphics. Legend of Zelda: The Ocarina of Time – A man who used to be a skulltula. Polygons, more sophisticated sound, more allowance for the artist’s vision to shine through. For me, an all new level of hell. I still remember it, watching my friend play The Legend of Zelda: The Ocarina of Time when he first bought it. I was enthralled; a young lad goes on a magical journey across a fantasy land armed only with a sword and his wits. And he was green — my favourite colour! And then the Skulltulas showed up. Enormous, creepy, imposing, deadly, and based on a species of spider most commonly found in Australian backyards. I may have screamed. I probably did scream. I know I hid, and I refused to come out from behind the sofa until my friend killed every single last one. Still though, that fear lingered, and to this day at the age of twenty four I still cannot face a Skulltula without twitching a little. I was teased mercilessly. I still sometimes am. Here, spiders are so commonplace that most just grow used to them. They’re not pouring out of the walls and ceiling, no, but you’ll see at least one Golden Orb Weaver every five steps you take in a suburb during the middle of summer. You’ll probably see a few Huntsman spiders near your bins or sneaking into your warm home when it’s winter. They’re like cockroaches here, but at least useful. So for me to have grown up here and freeze like a deer caught in the headlights whenever I see one, let alone a polygonal one on an old CRT television screen, it left me feeling even more ostracised. 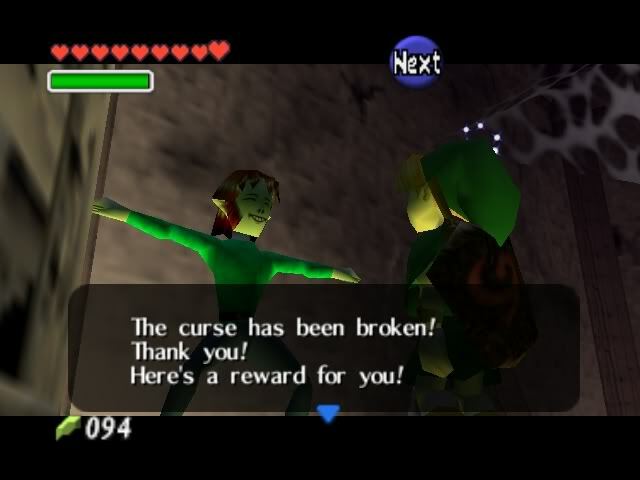 I was scared, alone in my fear, and I never did beat Ocarina of Time. One of the bosses in Brutal Legend is a huge spider. 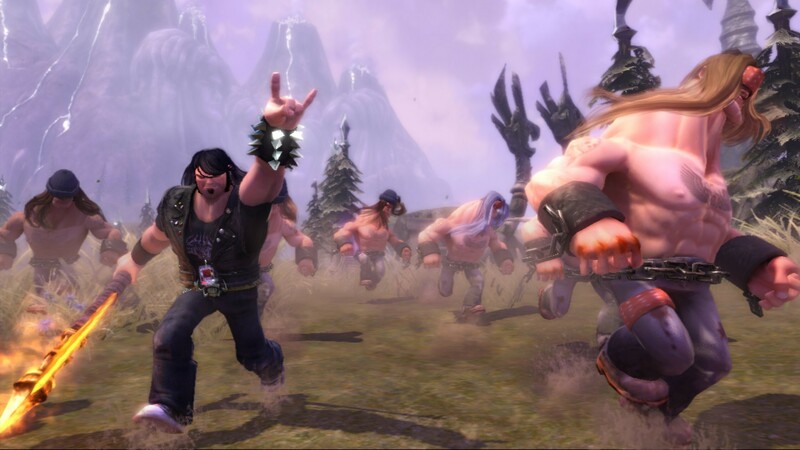 Fast forward to high school, where I was successfully peddled World of Warcraft. The first race I played as, Night Elf. The first race to meet spiders in their respective starting zone, Night Elves. I thought I was ready, I was older, a little braver, more gung-ho. A cave of spiders you say, quest-giver? An egg I must steal from the queen? Never fear, I’m on the job. Five minutes later I died swearing and decided to switch to a Dwarf. To be fair, the spiders in World of Warcraft are very cartoonish, at least in the original game — big and obviously polygonal, brightly coloured, no real detail with more focus put into the silhouette than the finer points. And yet they hissed, they skittered, they paralyzed you in their webs and lunged. And they were green, my favourite colour. Luckily over time I forced myself to get over this, they never were as in-your-face as Skulltulas, and they never really showed up past a certain level. It was here that I decided to turn my fear into hate. Instead of cowering I just mashed my keyboard and slaughtered the spiders that bothered me in the game. Spider kills as part of quests gave me grim satisfaction, and if I faced off against an enemy hunter who had a spider pet, I made sure to put it down right before their very eyes. Honestly it bred a very unhealthy attitude that I’ve since shed. Now with World of Warcraft, as the expansions have progressed and so to the graphics, I have reached a stable yet still fearful middle ground whenever I am forced to plunge into a den of oozing webs, glistening pincers, and cocooned victims. It’s a living. Elder Scrolls V: Skyrim offers all sorts of horrors. What really sealed the deal though, was The Elder Scrolls V: Skyrim. 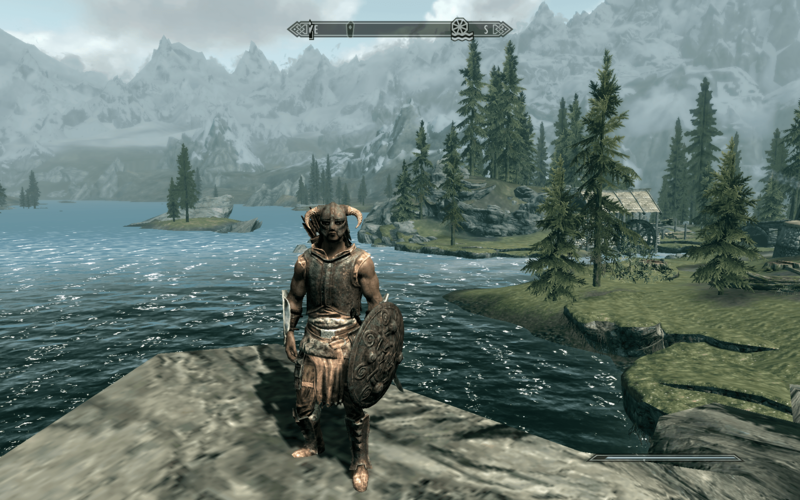 I’ll admit, I never really bought into the hype for Skyrim. It’s not a bad game, I spent my time with it, and the mods I used were fairly fun. However one point really sticks out to me whenever I bring up that game: The bloody spiders. Just how badly did I mistreat one of the artists on the team, what did I do or say to compel them to create the most horrifying depiction of spiders I’ve ever come across. They’re hairy, they’re huge, they screech and hiss, and did I mention they’re huge? And you can see every single damned eye of theirs. The very first dungeon where you encounter an enormous one I literally got through by hiding in a corner and spamming every magical ability related to fire I had at that point. I sobbed, curled up, unable to process anything other than looking at the bottom of the screen while furiously clicking my mouse. I largely avoided caves in that game from there on out. A lot of these experiences frankly damaged my ability to cope with my fear. I don’t believe exposure therapy or anything like it is the singular most effective way to get past any phobias. So every time a game like this threw a spider at me, I just shut down and left it incomplete. This also bled into real life. People talk about “immersive experiences” with games, and for me this was always a negative one that kept being reinforced. Spiders are almost always the enemy, there are never any good spiders, you’re taught that all they exist to do is hunt and hurt you, and your only way to move on is to kill them. I don’t like killing animals of any kind. I take no glee or satisfaction in killing even cockroaches or mosquitoes. Yet damn near every fantasy game pits you against nature in some way and you’re left slaughtering whole ecosystems. I can only imagine others have been through similar experiences with phobias in video games. 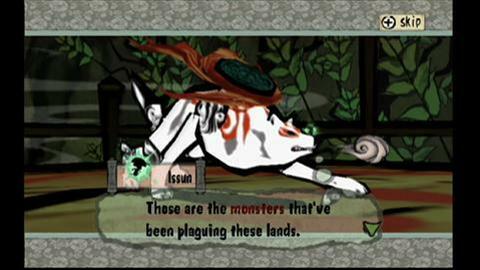 I know people scared of dogs and other canine-like creatures, and while some take an iota of joy from murdering rabid wolves in games, others feel like that only reinforces their fears. Even moving past animal and sapient-level threats we perceive, you then have more abstract ones: Heights, falling, flying, needles, darkness, drowning, and not to mention the endless kinds of body horror that games of all kinds dish up. Part of the problem, I feel, is just how much we take for granted any sort of game design that steps off the beaten path. Everything is confrontational, and usually in a violent or intense manner. We’re forced to experience these things and then either confront them or fail, and sometimes die. We are given no room for other options, which leave us feeling exhausted but accomplished if we succeed or incomplete and at fault if we throw in the towel. Not to mention the way fear itself, or any sort of mental anguish, is treated in most video games. Meters, bars, stats, and debuffs. Our negative first reactions are reduced simply to numbers and fairly obvious mechanical features, sometimes ones even advertised as part of the experience. Fear is bad, fear is what kills us, being scared or worried will make you lose. This is what we’re told and led to believe. Let me tell you, fear has pushed me in the right direction. Fear is very natural, it’s how we’re able to address problems and solve them. Sometimes it doesn’t work out for me, but I don’t tackle my fears, I simply sit down and have a chat with them. Why am I scared? Is it okay that I’m worried? Are there other, more important things I should address instead? My anxiety is never quenched with a sword or a bullet, but with a conversation. Video games that use phobias and triggering content don’t give us the room to handle these things in such a manner. They are immediate and exaggerated to awful heights, and your only response that can work must be violence or anger. We are told that fears are irrational, no matter how small they are, and therefore so are we. Out of sync, anxious, alone, this is how I’ve found games leaving me and others feeling when they involve even the most common phobias but pushed to their extremes. And whenever we bring it up, we’re told that “it’s only a game” and that “it can’t hurt you.” But you can’t try to elevate video games as any sort of maturing medium while diminishing the effects they have. Hopefully one day I’ll find the game that allows me to talk with a spider, and not some sort of alien species that I have to diplomify into the ground with a binary moral system. Just a humble arachnid that I can meet with, in a non-confrontational setting, at ease with each other, with a solution that benefits us both and leaves us satisfied and happy, not exhausted and driven to anxiety. Maybe I’ll even finish that game, if it ever exists.